Twitter, Linkedin, and Googleplus. This module will be available in the login page of the magento site. Here the users can login to the website using their social networking sites user ID, without filling any registration forms. the login information is not saved anywhere. This reduces the time for registering in to a site. 1. 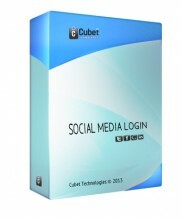 Login using socialmedia sites such as facebook,twitter,linkedin,googleplus and google. 2. Emails are specially asked in such situation where the API cant fetch the email. 3. No jquery scripts are used in this module. 1. Extract the zipped file to a location in your system. 2. Copy the contents to your project exactly as the given path in the package. 3. When copying the images in the skin, do not change the name of the file. 4. Reload your website and you can see your Social Media Share module in the product detail page. => Even if corrected, I have an error as table social_medialogin is not created (this can be easily fixed). 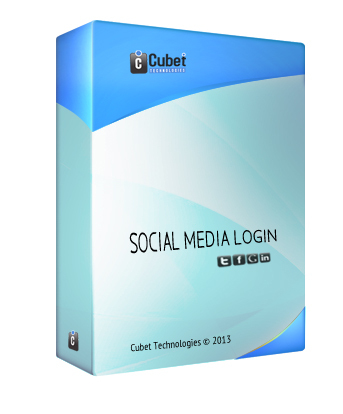 Click the button below to add the Social Media Login to your wish list.